AUV with 70mm IntegratedThrusters ™ . 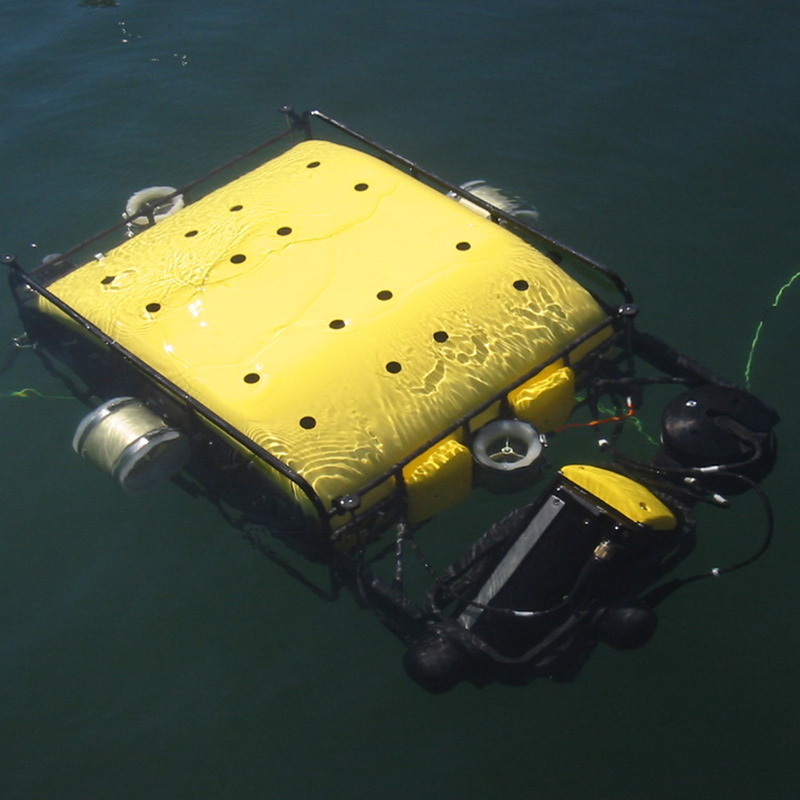 Photo courtesy of Bluefin Robotics (part of General Dynamics Mission Systems). IntegratedThrusters™ originally researched at the University of Southampton, England, have been developed into robust products ranging from 50mm propellers to 300mm 250kgf thrust workhorses. 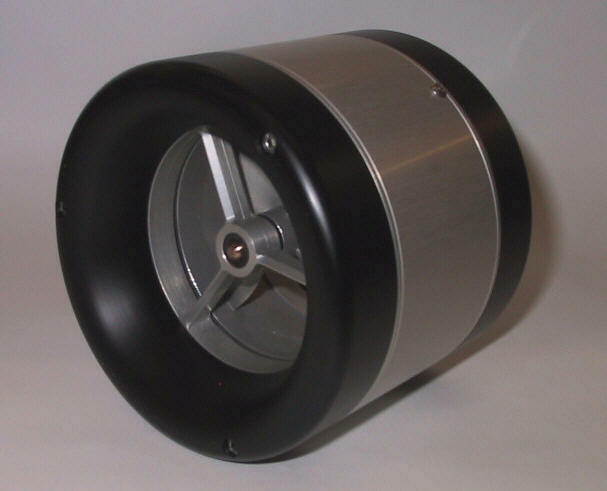 These marine thrusters integrate the electric motor into the duct around the propeller, resulting in an optimally efficient combination of high-torque motor and fully symmetric thrust. Applications are universal, from work class ROVs to autonomous vehicles, submarines and surface craft. Conventional thrusters attach a propeller to a conventional electric motor repackaged for submerged use. Problem 1 - the motor obstructs water flow and the thrust is asymmetric forward/reverse. Problem 2 - mounting the assembly takes up a lot of valuable payload space, it is long compared to diameter and the motor has to go inboard of the ROV frame. Problem 3 - the motor is geared, oil filled and has seals - reliability and maintenance is an issue. Our thrusters have just one moving part - the propeller. The motor efficiently produces all the torque needed by the propeller without a gearbox. The propeller is driven without contact between the encapsulated winding and the rotor - through water! The structure is enhanced by use of buoyant solid materials so weight in water is very low. We have single and multi-channel controllers suitable for battery operation of the smaller units. The largest thrusters need high power high voltage controllers and generally will be fed by umbilical. Application is very dependent on your needs. TSL Technology can adapt its industrial drive technology for your application . We can engineer power delivery systems up to Medium Voltage (thousands of volts). Our expertise with long cables in oil wells transfers into underwater vehicles running on long umbilicals - the handling of wildly fluctuating supply voltages with varying thruster loads.